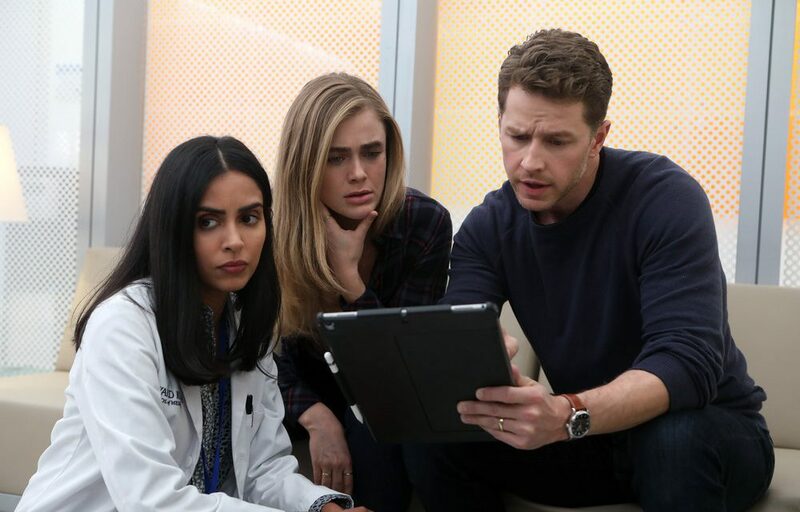 After a week off, Manifest is back with more questions than answers! I’m not necessarily mad about it, but we are six episodes into an eighteen episode order. We’re a third of the way done and we’re zero percent closer to any answers. Do I need to know the whole story at this point? No, of course not, that would make a very boring show. 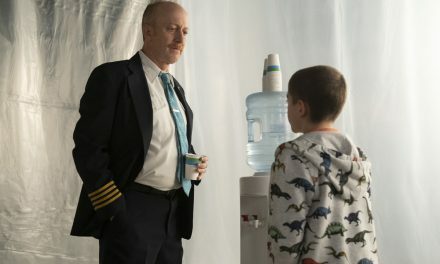 Do I think Manifest is leaning into some of Lost’s worst impulses? I’m starting to. Let’s take Cal. He’s the main focus of “Off Radar” which is great since we haven’t seen much of how this situation has impacted him beyond his experimental treatment. The issue is that while Cal is interesting and his potential powers are interesting, the most interesting part of this show is the interpersonal relationships and how they deal with the potential powers. 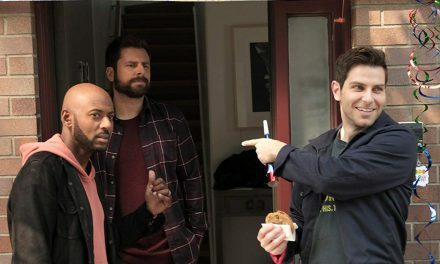 Meaning this episode that’s ostensibly all about Cal is actually at it’s best when both Ben and Michaela come clean about their powers to their significant others. I get that there’s definitely some behind the scenes stuff going on. Jack Messina is a child and can only work so many hours. Getting him in a hospital bed is a reasonable strategy to get him some more screen time without overstepping any limitations. But at the same time I feel like the end result of this episode could have been accomplished without Cal even being present. The biggest twists we got were the Stone siblings coming clean about the voices and finding out for sure that several Flight 828 survivors are being held against their will. Getting involved in a long drawn out hospital stay for Cal only muddies the waters and strings along the mystery for no real reason. I’m not suggesting that Manifest give us all the answers now. 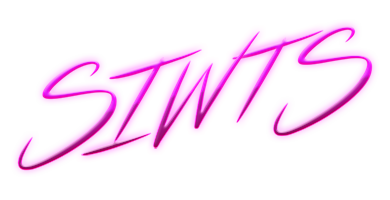 What I would love to see though is a show that focuses more on its strong points, and less on insisting there’s a bigger mystery/conspiracy afoot. It does help there there is in fact a giant conspiracy afoot. And it also helps that Agent Vance seems to actually know nothing about it. I now predict we’re plus or minus five episodes from him joining forces with our heroes to stop the real bad guys. 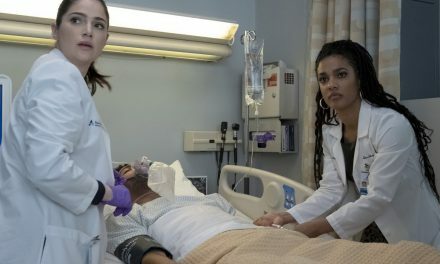 Here’s a quick overview of the episode: Cal gets admitted to the hospital because he’s seizing and speaking another language. The doctors can not figure out what’s wrong with him and Ben decides this is the time to tell Grace about the voices so he can justify his search through the other flight survivors. She does not take it well and accuses him of getting obsessed as a distraction. On the other hand we’ve got Jared and Michaela who need to stop being alone in cars together. After leading him on what feels like a wild goose chase to a heavily armed bunker in the woods Michaela comes clean to Jared and he takes it remarkably better than Grace. Before long we find out that Cal is somehow connected to Marko Valeriev, another passenger, who neither Ben nor the NSA have been able to find to this point. His seizures are because Marko is being tortured in some kind of black ops facility where they’ve taken a busload of Flight 828 survivors. They’re clearly running all kinds of torturous tests on them to find out what actually happened on the flight. We leave off knowing nothing more about the tests or the shadowy Unified Dynamic Systems that’s running the secret facility. All we do know is that Marko stops getting tests run on him because his connection with Cal brings too much suspicion on the program. The relationships are deeper which is great. The mystery is deeper which is just okay. I’m excited to watch Vance slowly switch sides and even more so for the repercussions in Michaela and Jared’s relationship after the revelations in this episode. If your partner told you they were hearing voices how would you react? What language would you like to speak during a torture induced fever dream? How ready are you for Vance to be part of the Flight 828 team? NOW THAT THE OFFICIAL MANIFEST REVIEW IS OUT OF THE WAY, FOLLOW MY STREAM OF CONSCIOUSNESS BULLET POINTS BELOW! Man…Cal really got the best end of these powers. He can speak another language now too?! Jared does not deserve the shitstorm that’s surrounding him. Marko Valeriev is “off radar” GET IT! Oh man is Grace going to find out about all the stuff!? PLEASE! Come on Grace! You can do it – just believe him! Be cool Jared! She’s being so honest! The Stone siblings are going for broke in this episode! Who is Unified Dynamic Systems?! How soon before we realize Vance’s NSA pals are also dirty? More Cal mysteries next week!